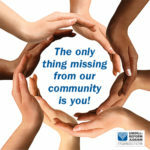 Our synagogue is more than a building, school or set of programs. Reform Congregation Oheb Sholom is its membership, pure and simple. Our members come from all over, and represent every stream of Jewish thought and practice. With our membership, we commit ourselves to a journey of discovery, where each of us, in our own way, deepens our connection to Judaism and ties to Israel. Some of us will discover greater Jewish meaning in Torah classes; some with new friends in various committee activities; some from worship and singing; some through acts of tikkun olam. Join us and we’ll help you discover your unique path. Reform Congregation Oheb Sholom is more than a journey; it’s a destination. The Hebrew term for synagogue is Beit K’neset – Home for Gathering. Some refer to a synagogue as a Beit Midrash – a Home of Study or a Beit T’filah – a Home for Prayer. By forging your own Jewish path with us, we can create a home together that honors all of the meaning and hope in our name. For more information call us at 610.375.6034. When you join Oheb Sholom, you become part of an inclusive, diverse community that provides religious services and traditions, educational activities for all ages, social programming and life cycle experiences for you and your family. If you are interested in becoming a member of Oheb Sholom, please contact the office for more information or view our Membership Application.